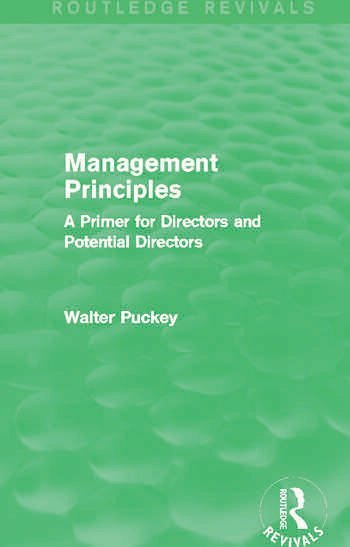 First published 1962 with a second edition in 1970, this book offers a comprehensive and accessible guide in the principles and practices of management. Walter Puckey considers the make-up of an organisation, the purpose of the company and the practice of management. A particularly useful title for students of business and management, as well as directors, this book provides a practical analysis of organisational techniques and trends.